[Telegraph] London hubs experienced the most flight delays among airports in Britain between July and September last year, with nearly a third of passengers (31 per cent) delayed at the capital’s five airports last summer, new figures from the Civil Aviation Authority reveal. Gatwick was the worst, with 43 per cent of its summer flights departing at least 15 minutes behind schedule, followed by Luton and Heathrow, ranked second and fourth worst overall, respectively. Stansted and London City Airport fared best among London airports, finishing in 10th and 19th place, while Jersey and Manchester rounded out the top five UK airports with the most delays in the third quarter of last year. Britain’s airports had its busiest summer ever, with more than 78 million passengers passing through one during the three summer months. The result was the worst flight punctuality of any summer period since 2010. On-time flight performance dropped three per cent to 73 per cent, while the average delay time per flight across the 24 airports surveyed was 15 minutes, a one-minute increase on the same period in 2014. “Airlines are accommodating the continuing strong passenger demand by carrying the extra passengers on larger aircraft, rather than increasing the number of flights significantly,” said Tim Johnson, CAA Policy Director. Read the full story at The Telegraph…..
[BBC News] An unidentified drone came close to hitting a plane as it landed at Heathrow, the Civil Aviation Authority (CAA) has confirmed. An Airbus A320 pilot reported seeing a helicopter-style drone as the jet was 700 feet off the ground on its approach to the runway at 1416 GMT on 22 July. The CAA has not identified the airline or how close the drone came to the plane, which can carry 180 people. It gave the incident an “A” rating, meaning a “serious risk of collision”. This is the highest incident rating the CAA can give. Investigators were unable to identify the drone, which did not appear on air traffic control radar and disappeared after the encounter. In May the pilot of an ATR 72 turbo-prop plane reported seeing a helicopter drone only 80 feet away as he approached Southend airport at a height of 1,500 feet. The incidents have prompted a warning from the British Airline Pilots’ Association (Balpa) that the rapid increase in the number of drones operated by amateur enthusiasts now poses “a real risk” to commercial aircraft. The association’s general secretary, Jim McAuslan said drones could cause a repeat of the “Hudson River experience”, when a plane was forced to land in water in New York in 2009 after birds were sucked into its engines. “The risk of a 10 kilogram object hitting a plane is a real one that pilots are very concerned about” he said. Sales of drones have increased rapidly, with UK sales running at a rate of between 1,000 and 2,000 every month. They are expected to be very popular as Christmas presents. They cost as little as £35 for a smaller model – more advanced drones capable of carrying a high definition camera and travelling at 45 miles per hour cost almost £3,000. Only a very small minority of people operating drones have attended training courses in how to fly them. A spokesman for the CAA said it had to depend on people using their common sense when they operated drones. He said the current level of risk should be “kept in perspective” but warned that breaking laws governing the use of drones could potentially threaten commercial aircraft. “People using unmanned aircraft need to think, use common sense and take responsibility for them”, he said. Drones may not be flown higher than 400 feet or further than 500 metres from the operator, and they must not go within 50 metres of people, vehicles or buildings. There are exclusion zones around airports and the approaches to them for drones weighing more than seven kilograms. Mr McAuslan said there was an urgent need for rules to be tightened before much larger unmanned cargo planes – potentially the size of a Boeing 737 – took to the skies. 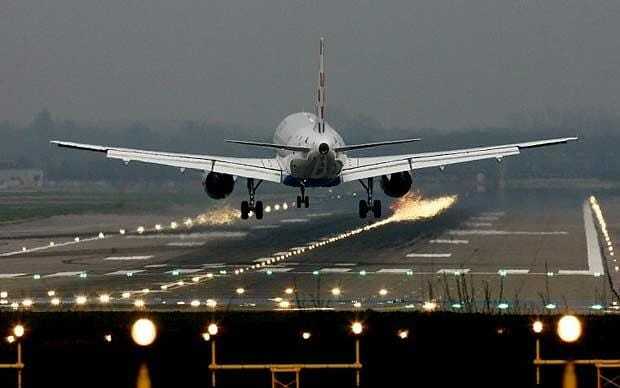 Read the original story at BBC News…..
[Reuters] London’s Heathrow said on Tuesday it would not appeal a decision by the regulator to impose a cap on the prices Britain’s biggest airport can charge airlines, adding it did not believe other parties would appeal the ruling either. “We are focussed on delivering our business plan for the period from 2014-18 and further improving Heathrow for passengers,” the airport said in a brief statement. 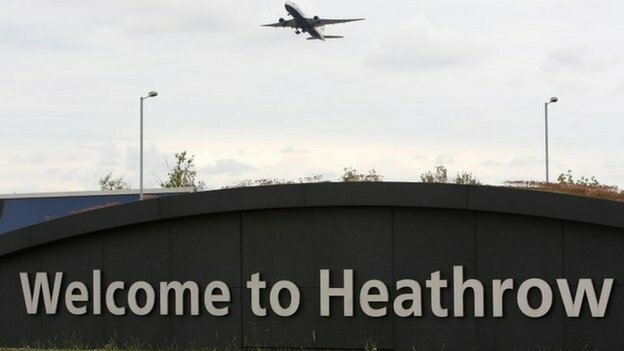 Heathrow had warned in January that it could struggle to grow its business after the Civil Aviation Authority (CAA) ruled it must set its prices at 1.5 percent below inflation from April 2014 after finding that the airport – Europe’s busiest – had too much market power. Read the original story at Reuters…..